14 days EBC Kailash Group Tour is a comprehensive Tibet group tour that you cannot miss! Since it includes the holy mountain and the world’s highest mountain together, you have the chance to see them in one tour. Meanwhile, you can see all must-see attractions in Lhasa, Drepung Monastery and Sera Monastery around Lhasa. Moreover, we will visit Tashilhunpo Monastery in Shigatse. 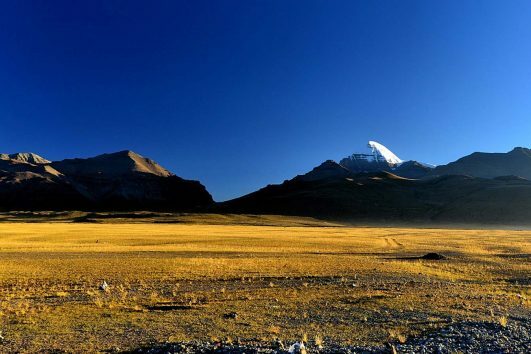 When arriving Darchen, you have three days for trek around Mt. Kailash. 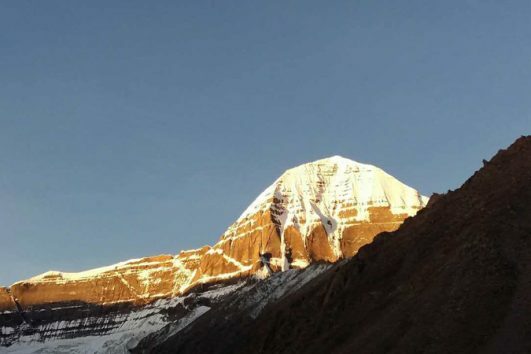 And after the trek, we will go to Lake Manasarovar and stay there overnight. Worth to mention, on the way back to Lhasa, we can see Karola Glacier and Lake Yamdork. Without doubt, the turqoise holy lake water will wash your souls and let you forget everything! Just join us in 2017-2018 for 14 days EBC Kailash Gourp Tour now!